Thanks for the link Leslie. 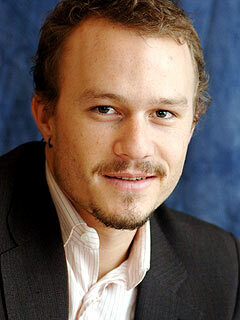 Oh God, those words from Heath's family are so beautiful, I'm crying at my desk at work... I especially feel for Kate. Losing a brother like that, I can only begin to imagine this, because the thought of the possibility of losing my sister crosses my mind all the time since she was diagnosed with cancer, and the feelings she expresses in those words ring so true.